Description: Pave crystals on the round borders of this statement style piece are connected with more crystals and lines creating an elusive glowing look and feel. 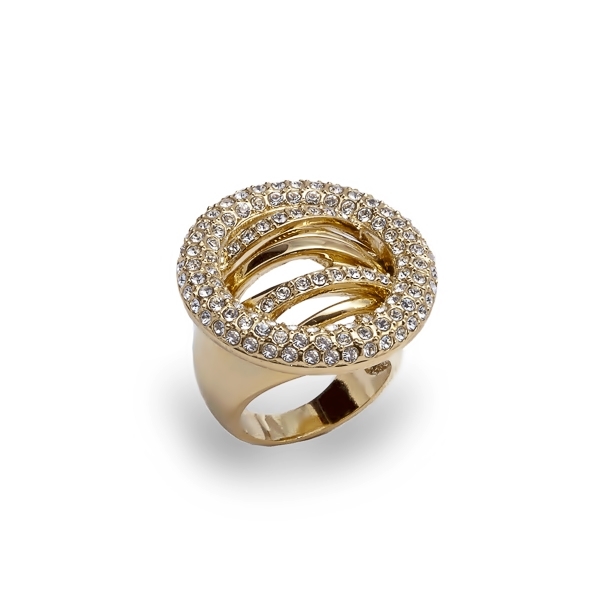 A showstopper piece splashing sparkle around. Enter Quantity for R-I2004-YG to add to your shopping cart.